Another feature that WRMD 3.0 improves upon, are rechecks. In the current version of WRMD you can create a recheck for a given date and set the type/priority for that recheck. In WRMD 3.0 there is nothing new about that, except that it has new features and is managed far better. 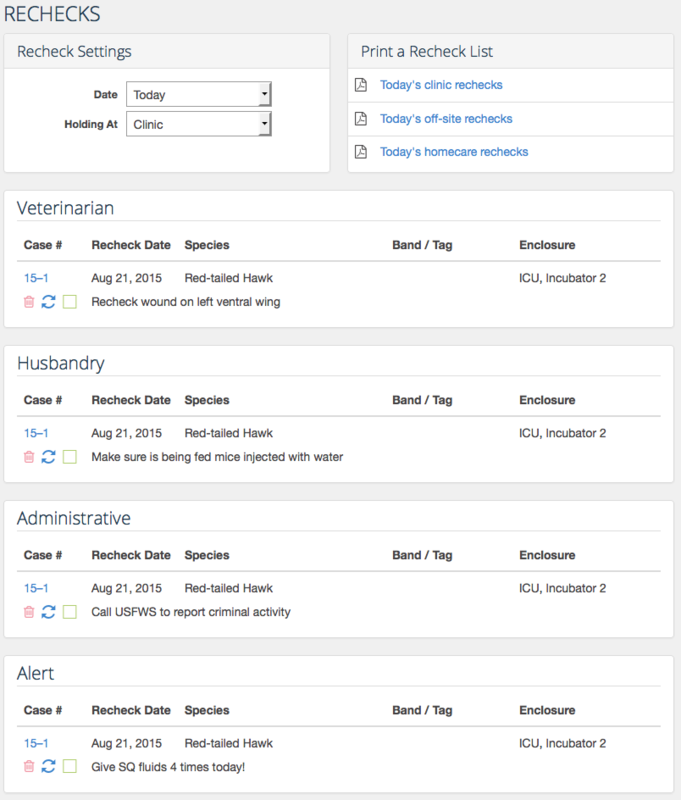 and we added a new recheck type/priority called Alert. On the Continued Care screen there is a Rechecks panel like the one seen above. All you have to do is fill in the fields for the recheck(s) you want to create, and click the icon to the left of the date field. This will automatically create the recheck and add it below in a list (as seen below). Of course you can have multiple rechecks on the same day and give them different priorities. You may also update and delete rechecks as needed. To mark a recheck as being completed, just click the check box to the left of that recheck. You can see in the example of rechecks above, that each priority is highlighted to help distinguish related rechecks. One new recheck priority that we are adding is called Alert. This recheck behaves in all ways similar to the other rechecks, but it also causes one additional behavior. Whatever is written as the Alert recheck description, will also be displayed as an alert message at the top of the patients screen. (See the below screen shot for an example). This is a great way to create a really important recheck that especially needs to be seen. Lastly, we still have the Rechecks page that will list all the rechecks due or are past due for the current day. Just like the rechecks show above for an individual patient, these rechecks can also be deleted, updated and marked as completed. Over all, these changes aren’t too drastic but are really helpful. Thanks to the wonderful advice of all our users, we were able to make this a very comprehensive system. We think that this implementation of rechecks is going to be a big hit and people will love being able to set multiple rechecks and keeping track of which ones are completed. As always, if you have any feedback, comments or ideas please send them our way! You can leave a comment bellow or send us an email at [email protected]. We are acutely aware of the speed issues that WRMD is currently facing and to be honest it’s actually very embarrassing. Basically (at the risk of sounding arrogant) the problem is stemming from our growing popularity. The number of accounts and their users continues to grow and unfortunately our servers aren’t keeping up with the demand. That’s all going to change in WRMD 3.0. 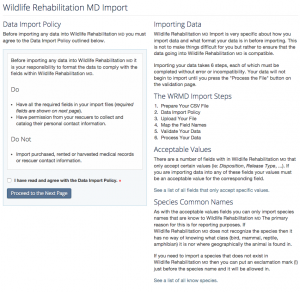 WRMD has grown far from being a simple application used by a handful of rehab organizations. It’s now a full on web application that has very serious demands on it. As such, it needs to have a scalable server backbone and a framework built for optimization of resources. Without trying to sound to “techy” I’ll explain how the demand will be able to scale as needed. Our server setup will use a load balancer to distribute traffic to as many web-servers as needed. So if demand gets high during the summer then we can just add an additional web-server to help with all your requests. 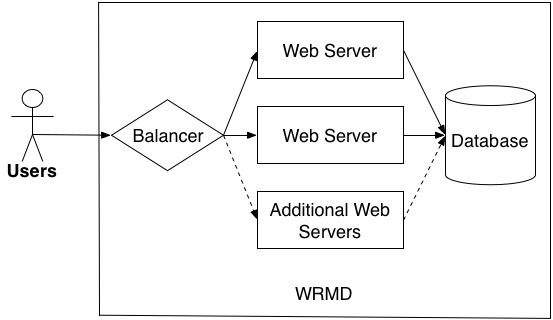 Those web-servers will only be responsible for displaying WRMD to you, while behind them will be a very large database server that will handle all the heavy lifting. If this doesn’t make any sense to you then just check out the diagram below. Servers are only part of the speed equation, the software itself also needs to be efficient at everything it does. A major part of our development in WRMD 3.0 is to maximize its efficiency. Rather than explaining all the nerdy things that we are doing in detail I’ll just tell you that everywhere that we can cache, queue, optimize or schedule a task in WRMD 3.0, we are. 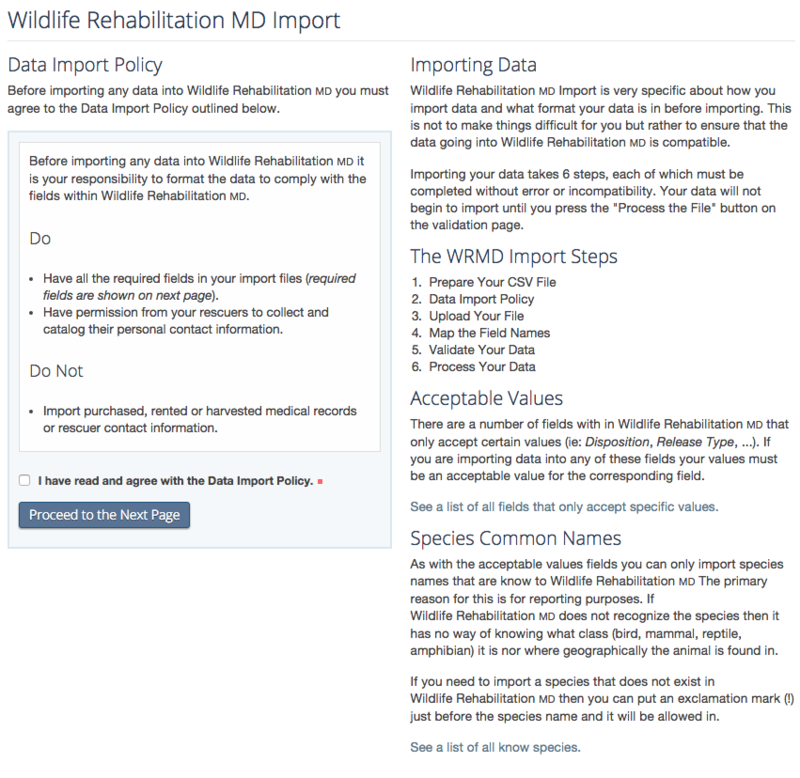 Our goal among other things is to have WRMD 3.0 be as quick and responsive as possible so that this database is not slowing you down from helping your patients.